Check out Chris's website, dailySTEM. He's got some great content for educators, so be sure to check it out! Chris and I talked about NASA's social media accounts and here the list of accounts. Check out this website if you're looking for a great moving wallpaper! There are numerous HD video cameras attached to the ISS that provide incredible views of our home planet. The hammer and feather drop was mentioned in episode 277. Apollo 15 Commander David Scott dropped a falcon feather and a hammer to show that they accelerate at the same rate. 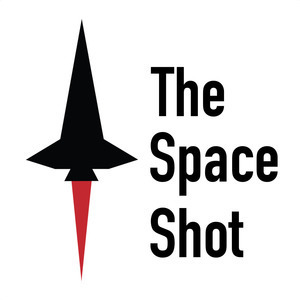 Here's that episode of The Space Shot. Check out this NASA history article on Apollo 12 and check out episodes 184 and 189 for more on this mission.